Cloud, cloud, cloud, cloud, cloud. Twice the hype, but less filling. Unfortunately, "cloud computing" has become the IT flavor "du jour" and you can count on many offerings suddenly incorporating the word "cloud" in their products, though it may be unclear precisely why (cloudiness apparently can have an effect on product descriptions). This is a real pity, since cloud computing does bring together a lot of very good ideas and presents true opportunities to IT organizations large and small. It's the natural progression of the Web, perhaps we can call it Web 3428.0. As an organization dedicated to open, transparent, useful and well-implemented standards, OMG has historically focused on how to build standards that add value for end-users and vendors, and since 2000 that focus has centered on modeling. How does the advent and wide adoption of cloud computing depend on, and affect, the use of modeling? What do UML, BPMN, SysML and so forth have to do with modeling? Dr. Soley will discuss the value of modeling for cloud implementation; OMG's focus areas for cloud computing; and the Cloud Standards Customer Council, recently created to bring together end-users to share cloud adoption stories (both successful and not-so-successful) and to develop requirements and priorities for standards necessary to make successful transition to the cloud possible. As Chairman and CEO of OMG, Dr. Soley is responsible for the vision and direction of the world's largest consortium of its type. 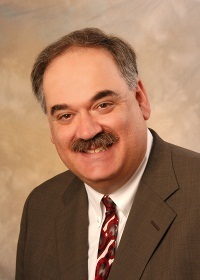 Dr. Soley joined the nascent OMG as Technical Director in 1989, leading the development of OMG's world-leading standardization process and the original CORBA® specification. In 1996, he led the effort to move into vertical market standards (starting with healthcare, finance, telecommunications and manufacturing) and modeling, leading first to the Unified Modeling Language TM (UML®) and later the Model Driven Architecture® (MDA®). He also led the effort to establish the SOA Consortium in January 2007, leading to the launch of the Business Ecology Initiative (BEI) in 2009. The Initiative focuses on the management imperative to make business more responsive, effective, sustainable and secure in a complex, networked world, through practice areas including Business Design, Business Process Excellence, Intelligent Business, Sustainable Business and Secure Business. In addition, Dr. Soley is the Executive Director of the Cloud Standards Customer Council, helping end-users transition to cloud computing and direct requirements and priorities for cloud standards throughout the industry. The wealth of freely available, structured information on the Web is constantly growing. Driving domains are public data from and about governments and administrations, scientific data, and data about media, such as articles, books and albums. In addition, general-purpose datasets, such as DBpedia and Freebase from the linked open data community, serve as a focal point for many data sets. Thus, it is possible to query or integrate data from multiple sources and create new, integrated data sets with added value. Yet integration is far from simple: It happens at technical level by ingesting data in various formats, at structural level by providing a common ontology and mapping the data source structures to it, and at semantic level by linking multiple records about same real world entities and fusing these representations into a clean and consistent record. The talk highlights the extreme heterogeneity of web data and points to methods to overcome them including a multitude of tasks that must be completed: source selection to identify appropriate and high quality sources, data extraction to create structured data, scrubbing to standardize and clean data, entity matching to associate different occurrences of the same entity, and finally data transformation and data fusion to combine all data about an entity in a single, consistent representation. Felix Naumann studied mathematics, economy, and computer sciences at the University of Technology in Berlin. After receiving his diploma in 1997 he joined the graduate school at Humboldt University of Berlin. He completed his PhD. thesis on data quality in 2000. Before moving to the University of Potsdam, he worked at the IBM Almaden Research Center and served as an assistant professor for information integration at the Humboldt-University of Berlin. Since 2006 he holds the chair of Information Systems at the Hasso Plattner Institute.